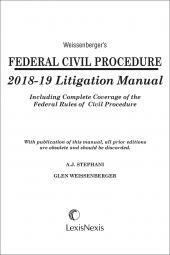 Weissenberger's Federal Civil Procedure Litigation Manual provides concise, rule-based coverage of the process of litigation in the federal courts. 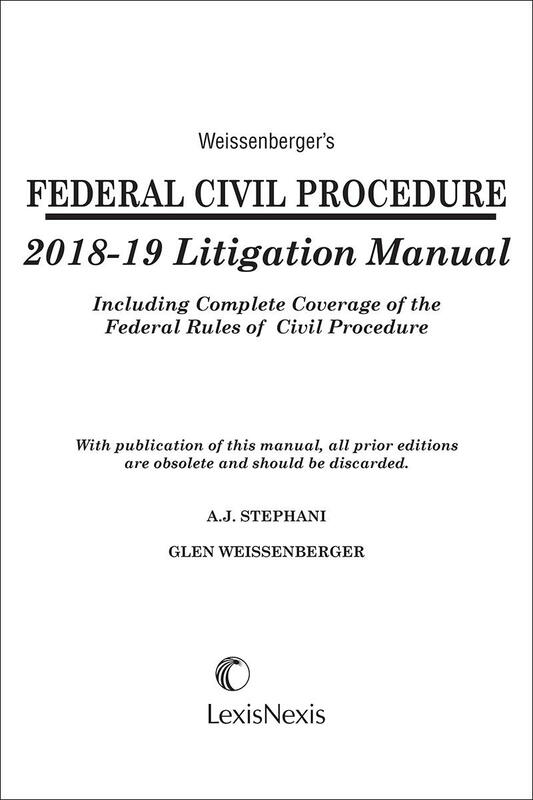 Weissenbergers Federal Civil Procedure Litigation Manual offers a practical guide to the intricacies of the Federal Rules of Civil Procedure. 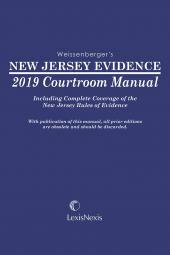 Written by Glen Weissenberger, author of the Evidence Courtroom Manual series and A.J. Stephani, noted civil procedure professor and author, Federal Civil Litigation Procedure Manual contains the complete text of the Federal Rules of Civil Procedure. 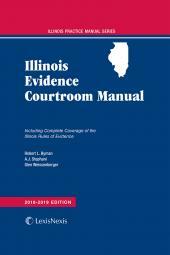 Each rule is then individually annotated with insightful commentary, additional supporting authorities, and recent significant cases. 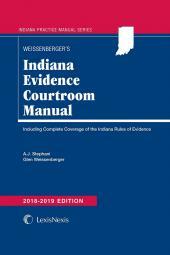 The manual was specifically designed to aid both the legal practitioner and judge, and is updated annually to encompass changes in the Rules or supporting case law.